Swedish stoner rock lives! This Stockholm band has been around since late 2005 and this is their first real release. 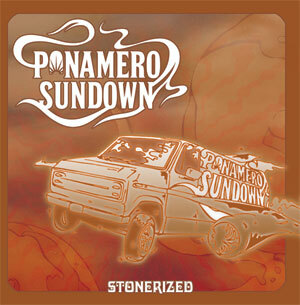 These guys live for the old days of when Stoner rock was fresh and exciting. The CD features 12 tracks of high intensity rock and roll in just under an hour. I am still pretty amazed how many of these great Swedish rock singers there are out there who really have a killer voice and can really belt it out and these guys have one! Fans of the Brain Police will dig a lot of the tracks on this record. The opening track has a great psychedelic multitracked guitar space out for 30 seconds or so and is a great rocking track. Vocals remind me a bit of the guy from the Quill. Curtain Call starts with a cool wah guitar before the heavy riff takes control. Rotten Religion is a more hard hitting track. Live the Lie slows things down briefly with a slower, almost spacey way before the heads down, bang on forward riff takes off once again. Made of Stone has a great guitar to start the track off before he takes the effect off and the heavy riff kicks in and the band takes off. Anyway, you get the idea, a lot of high energy, melodic, stoner rock like the Quill, Dozer, Brain Police and a touch of Kyuss… Pretty cool record….